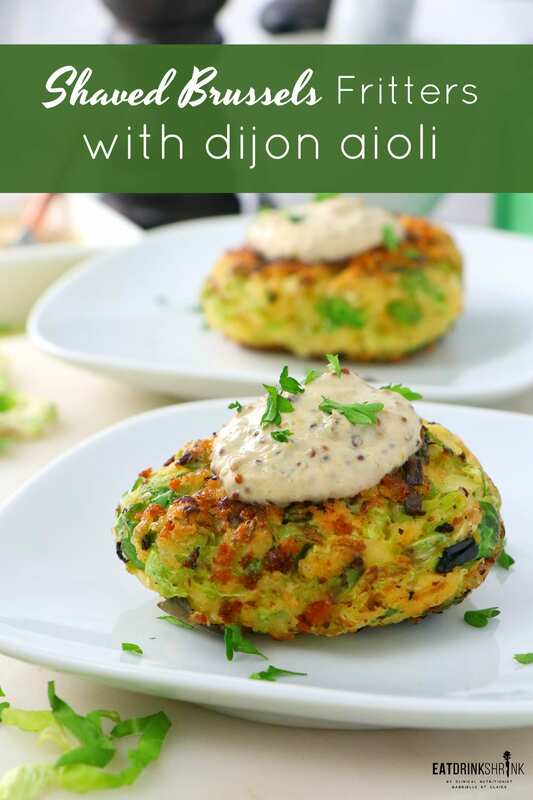 Vegan Brussels Sprout Fritters with dijon aioli - Eat. Drink. Shrink. If there is one concept I’m completely enamored with, it’s fritters! 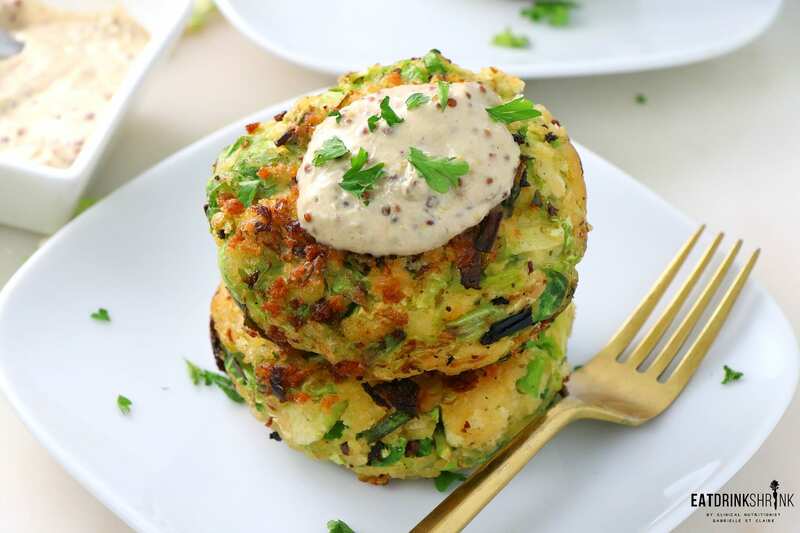 For years I had no idea what equated to a fritter, but it basically any veggies, with a lil bit of flour, typically eggs, and simply cooked in a skillet! In many ways, fritters are like a blank canvas. 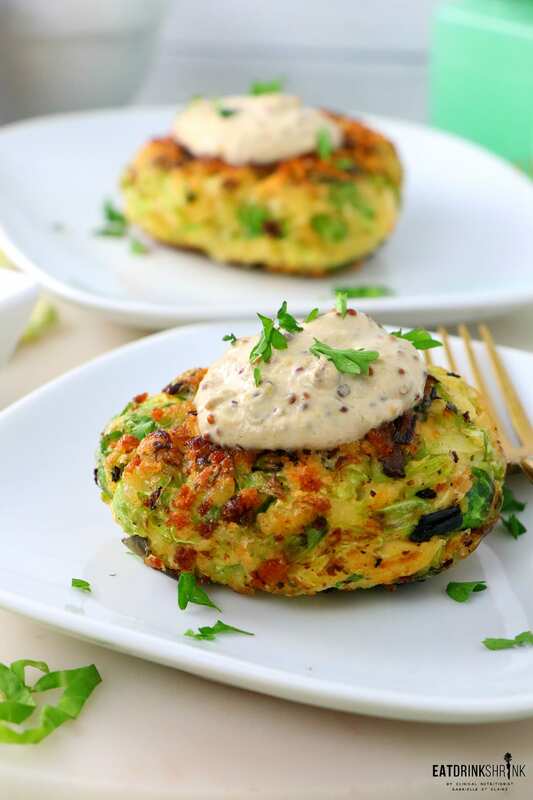 You can make them as healthy or indulgent as you like, cater to your tastebuds and the seasons, leaving the options endless for fritters! Believe it or not, I was making shaved brussles salad back in 2014 long before you could even buy them pre-shredded. I had to literally take a mandolin to each one and cut myself sometimes in the process lol. God bless shredded brussles! What’s fab about this fritter, is simply everything! 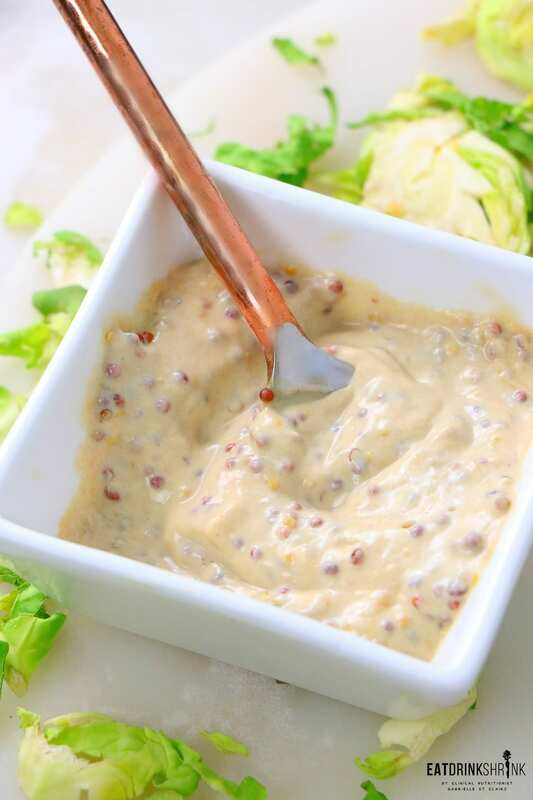 It’s quick, easy, affordable, veggie packed, flavor packed, can easily be made in bulk, pairs perf with the dijon aioli, perf for fall, and is a brussles sprout lovers dream! 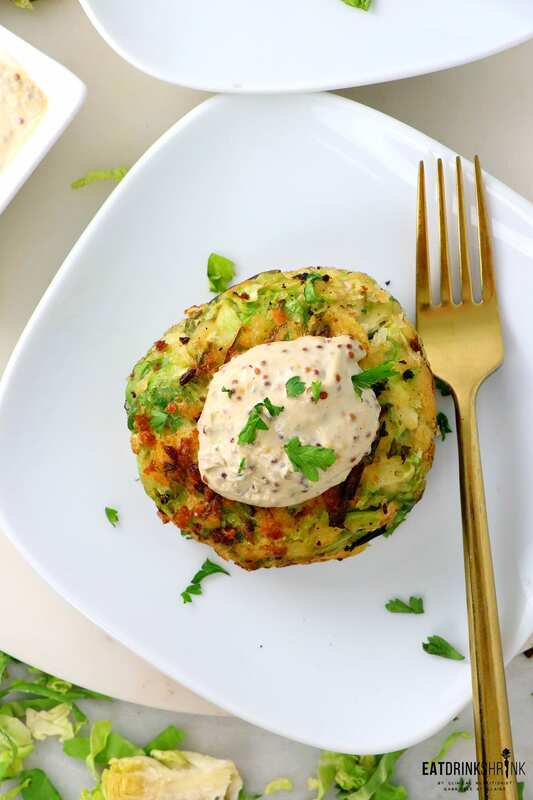 If you love all things brussles, you’re going to LOVE these vegan Shaved Brussles Fritters with dijon aioli!! No need to shred the brussles, buy them pre-shredded! 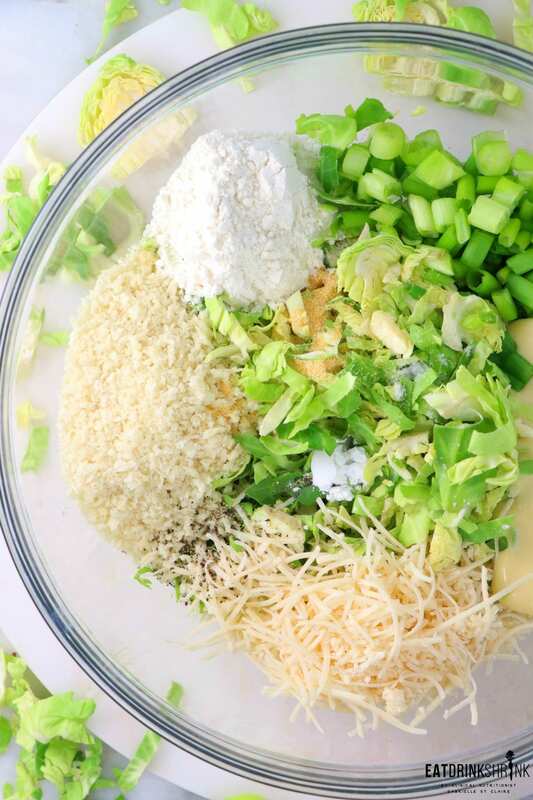 Take the shaved brussels and give them a rough chop and remove any of the pieces with stems that are too coarse. In a large bowl add the remaining ingredients. 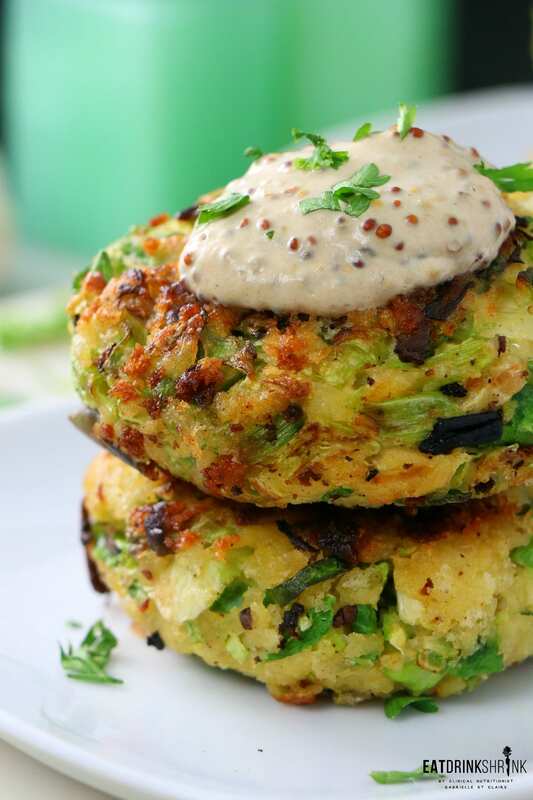 Add in the vegan egg mixture and combine to the brussel sprouts to form patties. In a large nonstick pan, add ¼ cup vegetable oil and heat over medium heat. 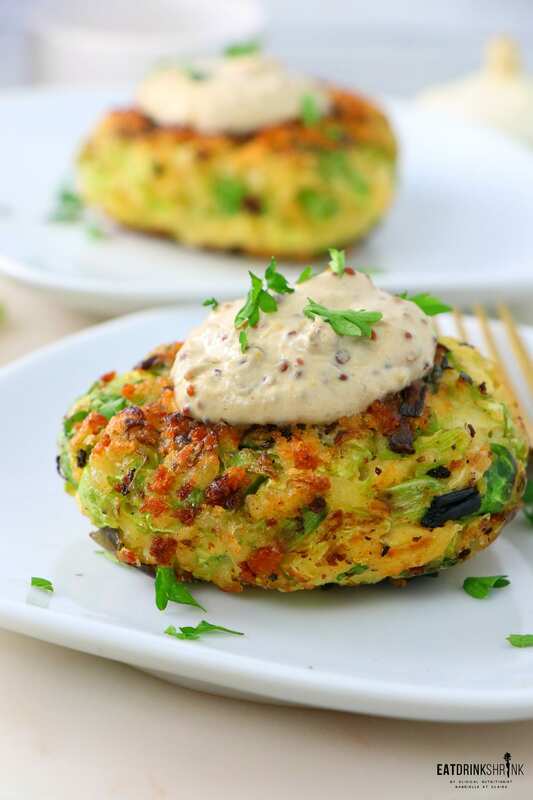 You can add chopped shallots to the aioli if you like or in the fritters for added flavor! You can skip the white flour and use chickpea if you like!